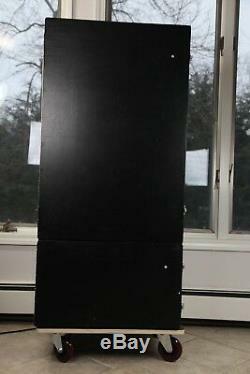 4 Foot Stealth Grow Cabinet Grow. 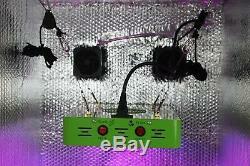 Hydroponic or Dirt - Quiet - Complete Kit. 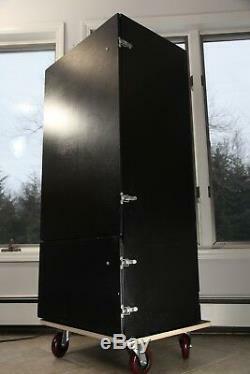 (1) Stealth Grow Cabinet Grow Box. 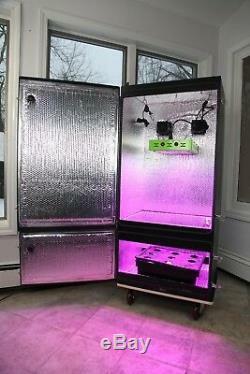 (2) LED Grow/ Bloom Grow Plant Lighting. (3) Two Quiet Carbon Filtered Intake/ Exhaust Fans. (4) Strong Air Pump / Water Oxygenator. (5) Submersible Water Pump with Air Hose. 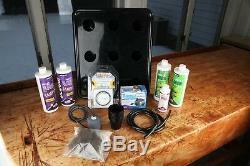 (6) Hydroponic Starter Kit Including. Grow Vegetative Part B Formula Solution. Bloom Part B Formula Solution. (9) 2 Hydroponic Net Pots. (7) Duel Outlet Grounded Timer. Pop your seeds/ plants inside & this is ready to go! 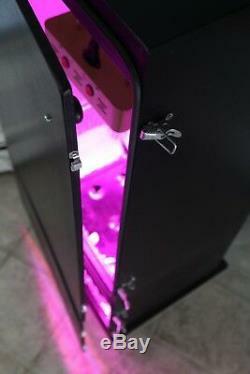 Effective grow lights and quiet carbon filtered fans plug in easily and neatly in the back. 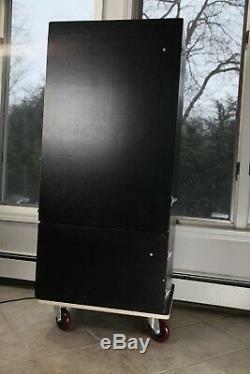 Perfect stealth designed cabinet makes this discreet in any space. Quiet fans maintain consistent temperature ideal for plant growth. 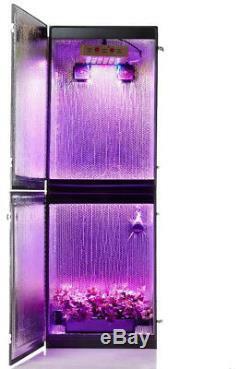 Air and submersible pumps ensure rich oxygenated water for enriching hydroponic growth. Variate between the different Bloom/ Growth light cycles to create an ideal environment for plants at their various growth phases including: seeding, vegetative and blooming stage. Conveniently provided duel grounded timer enables lights to turn on/off depending on their plant cycle so you. Have to think about it. Once the cabinet is closed the plants are fully immersed in a interior wall's fully reflective effective film which both bounces the light all around the plant and also insulates it. 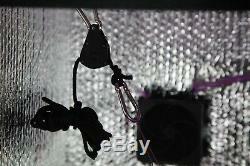 Can be used for dirt based plants or hydroponic ones as well. Using simple step-by-step hydroponic instructions & full harvest in as little as 10 weeks! Beginner friendly complete starter kit. Industry's most reflective film that both reflects light 360 degrees while insulating cabinet. Built-in infrared blocking technology to ensure light controlled environment. 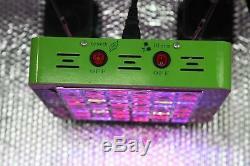 Super easy to use LED grow lights with convenient Grow/ Bloom toggle switch. Carbon Protected Intake/ Exhaust Fans - protects against incoming pests while maintaining clean air environment. Strong and quiet air pump. Dual doors, one to review lower plant base/ hydroponic system portion & other other to review upper vegetative portion. Easy to follow hydroponic instructions. 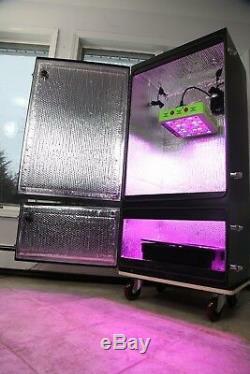 Adjustable grow light height to accommodate plant at all height plant life cycles. Lights are installed on a pulley system allowing you to bring the light to optimal distance to your plant at all stages. The cabinet exterior shows minor signs of wear. Feel free to reach out should you have any questions. Please be sure to check my other listings as there is another smaller cabinet available that would be perfect to use in conjunction with this one. While one cabinet grows smaller plants from their seed form, the larger cabinet can accommodate plants later in their life cycle. Once the larger plants are ready to come out, move the smaller plants over & start seeds again. Enable no lag time between grows! 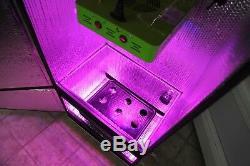 The item "LED 4' Tall Grow Box Hydroponics or Soil Stealth Grow Cabinet Grow Light- Fans" is in sale since Wednesday, January 23, 2019. This item is in the category "Home & Garden\Yard, Garden & Outdoor Living\Gardening Supplies\Hydroponics & Seed Starting\Hydroponic Systems". The seller is "law_mc" and is located in Wappingers Falls, New York. Dimensions: Height 4 ft x Width 23" x Depth 17 1/2"